Anna Wintour has been rocking the same haircut for years. 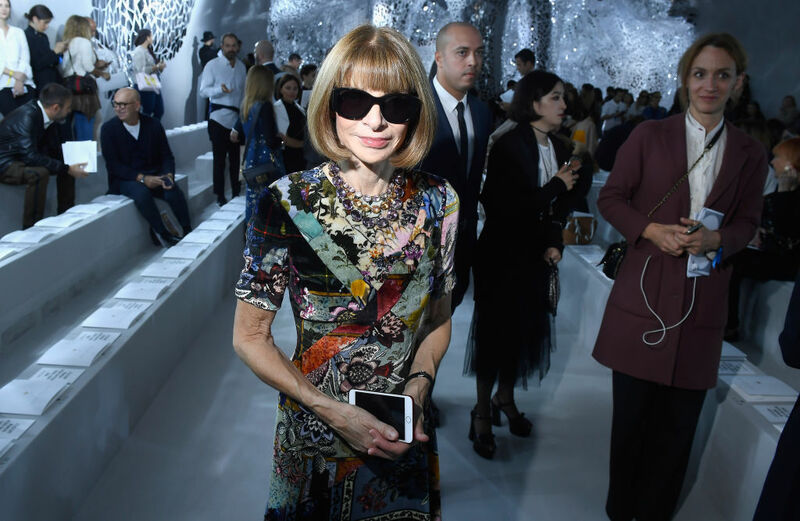 It’s not that Wintour ~owns~ a blunt bob with bangs, but when you’ve had the same haircut for as long as anyone can remember, it kind of becomes your thing. Nina Dobrev just got THE iconic Anna Wintour cut, and we have to say, Dobrev is giving Wintour a run for her money. Over the years, other celebs have tried this look, including Taylor Swift. It’s very bold to try and come for a haircut that is synonymous with the Queen of Fashion. Dobrev even has the icy stare to match the iconic cut! "#BangingBob with #FrenchFringe for @Nina's new movie "Lucky Day". We're calling it the #Nob (Nina-Bob) She plays CHLOE a Parisian artist, so we concocted this chic European look for her character." It is VERY *Parisian artist* indeed. Now that she’s got the hair for it, does Dobrev speak French? Oh, she does! Girl is ready to go!